While watching a classic car ralley in Rottenmann I came across this manhole cover showing the emblem of the city. 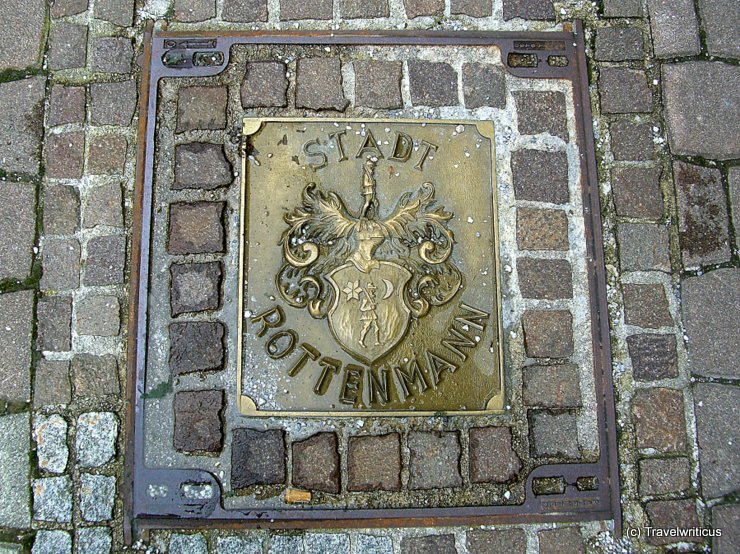 This entry was posted in Coat of arms, Manhole Covers and tagged Austria, Rottenmann, Styria by Travelwriticus. Bookmark the permalink.